Parang Mountains are located in the Eastern Carpathians, in the so called Southern Romanian Carpathians, in the center-south-west part of Romania, at about 15 km North-East of Targu-Jiu city and 5 km South-East of Petrosani. The mountains are delimited at the East by the famous Transalpina road (DN67C, the Novaci-Obarsia Lotrului section). 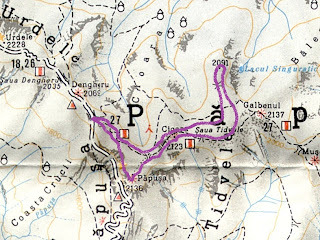 The heighest peak of the masiff is Parangu Mare (alt. 2519m).